Average weight: M 4.0 lbs., F 3.6 lbs. Description: Ross’ geese are the smallest of the three varieties of white geese that breed in North America. 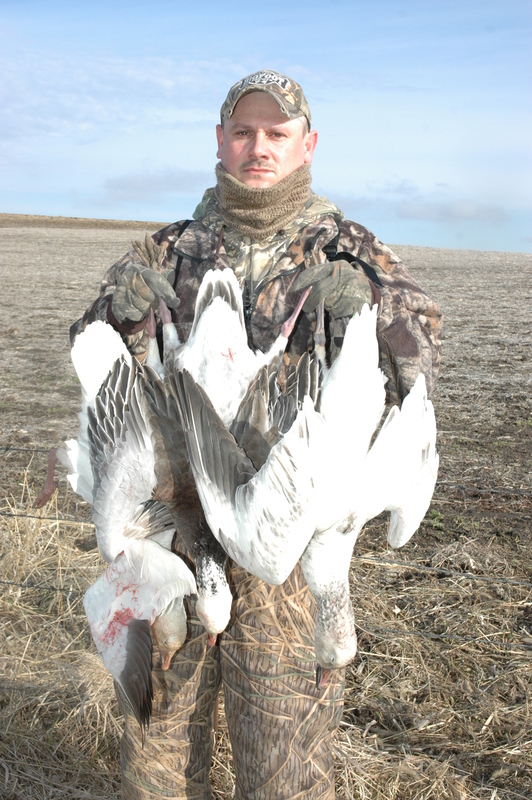 The Ross’ goose is a small white goose with black primary feathers. The bill is a deep reddish-pink with a paler nail and a variably bluish warty area over the base of the basal area. The legs and feet are rose-pink and the iris is dark brown. The sexes are dimorphic, with the female being 6 percent smaller than the male. 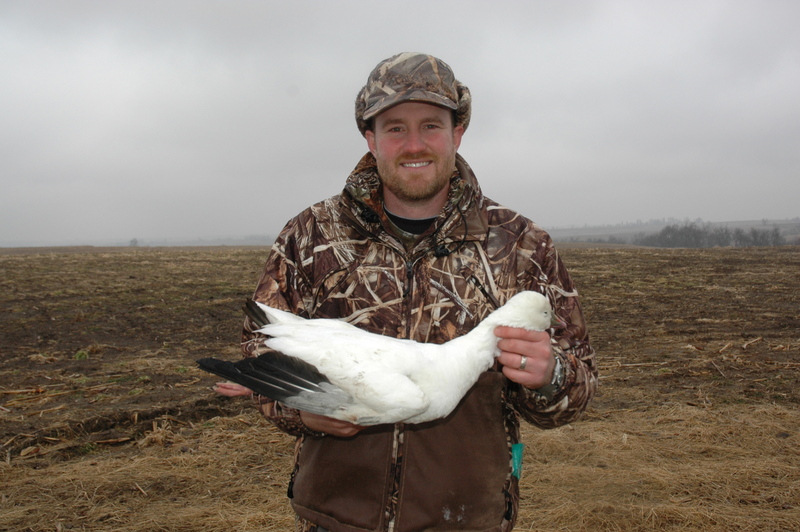 The Ross’ goose has a relatively short neck and lacks the black “grinning patch” that is typical of greater and lesser snow geese, for which it is often mistaken. 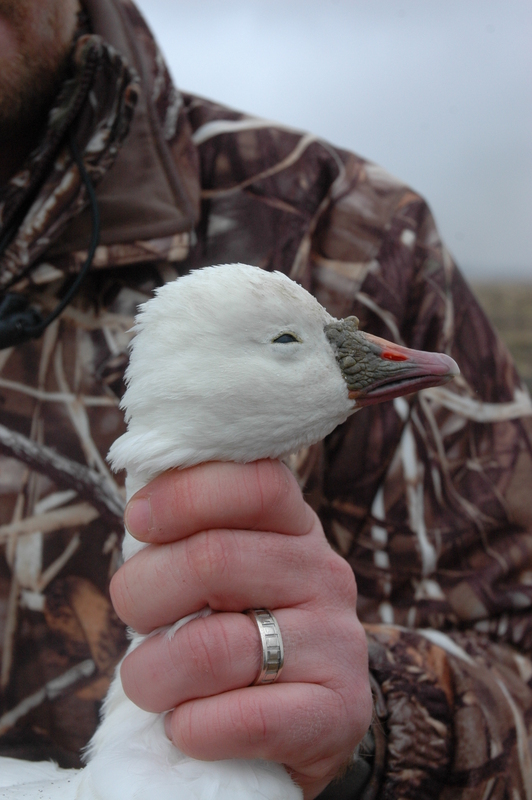 Ross’ geese may be distinguished from snow geese by their smaller size, more rapid wing beat and higher-pitched call. 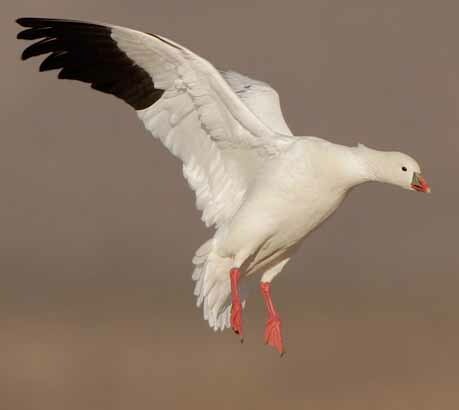 Breeding: Ross’ geese breed in the low arctic tundra, mainly near Queen Maud Gulf, southern Southampton Island, the western coast of Hudson Bay and the Sagavanirktok River delta in Alaska. They usually nest in colonies mixed with lesser snow geese, making their nests on the ground in sparsely vegetated areas. 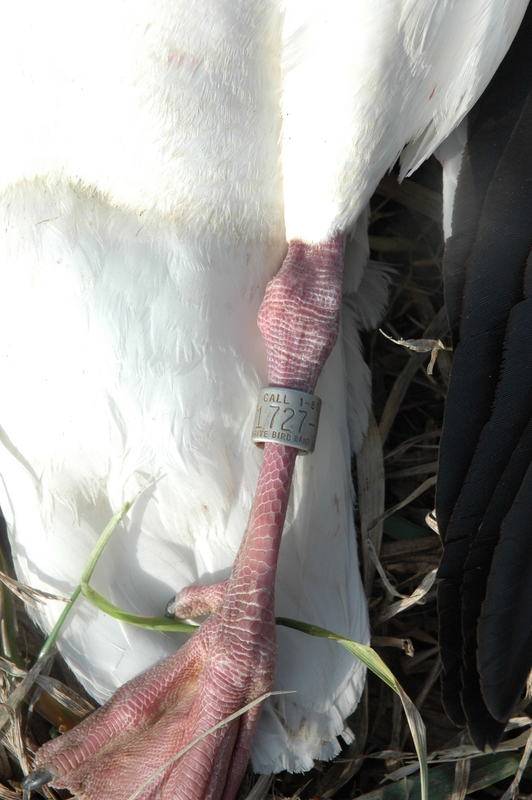 Female Ross’ geese lay an average of 3-4 eggs. Migrating and Wintering: Ross’ geese are among the first to leave the breeding grounds in Canada. 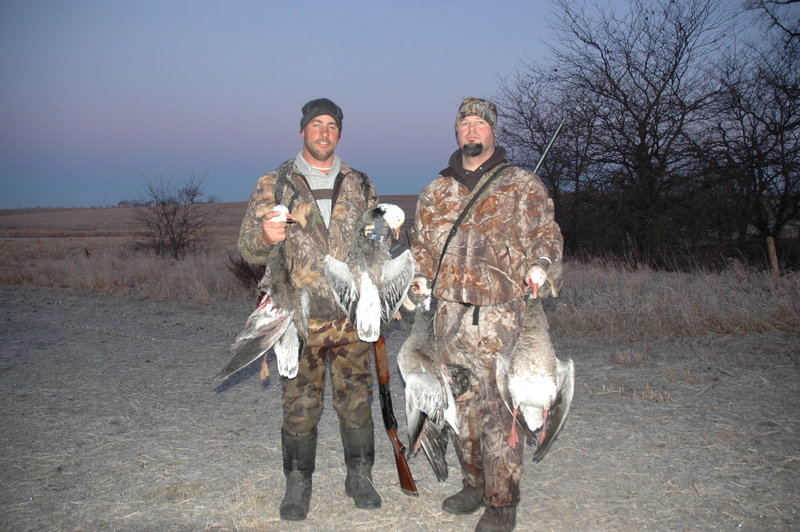 The California Central Valley is currently the main wintering area for Ross’ geese, but increasing numbers are wintering in Arkansas, Louisiana, New Mexico, Texas and the north-central highlands of Mexico. Food habits: Ross’ geese feed on grasses, sedges and small grains, particularly waste wheat and barley in the winter months. Call NOW before we are booked!
. 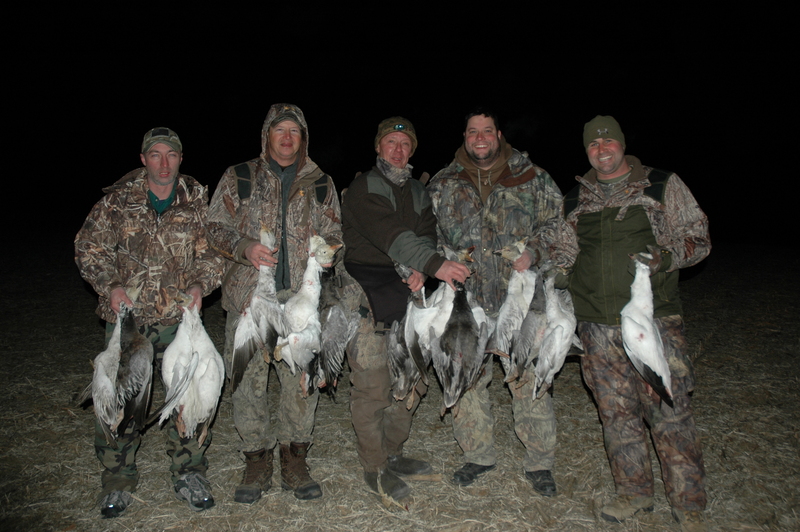 We provide all equipment, blinds, callers, decoys(800 – 1500) Full Body Decoys (GHG, Avery, Bigfoot, ect. ) 10 -75 Silosock Flyers. Also silosocks, shell decoys and floaters if needed. We do everything you just show up and hunt. Top 5 reasons to book your hunt with us this season! 1. 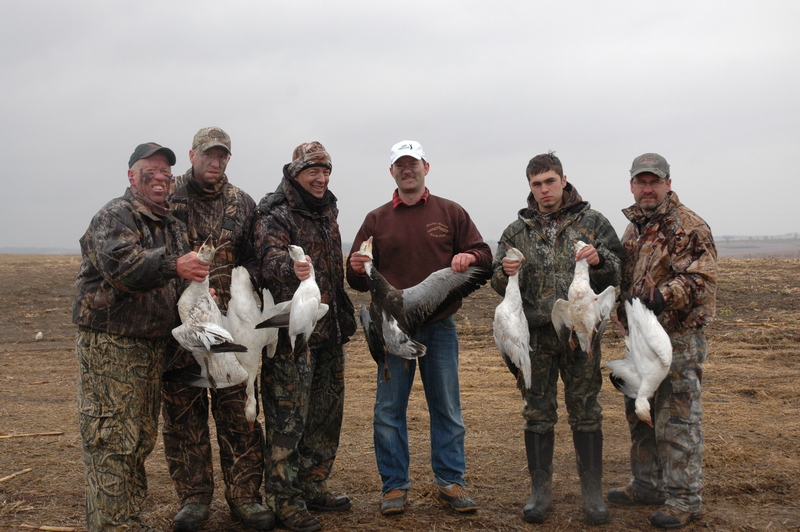 All of our hunts take place over Avery & Bigfoot full body goose decoys, 5/8 Avery Snow Goose Shells and Sillo Sock Decoys. 2. 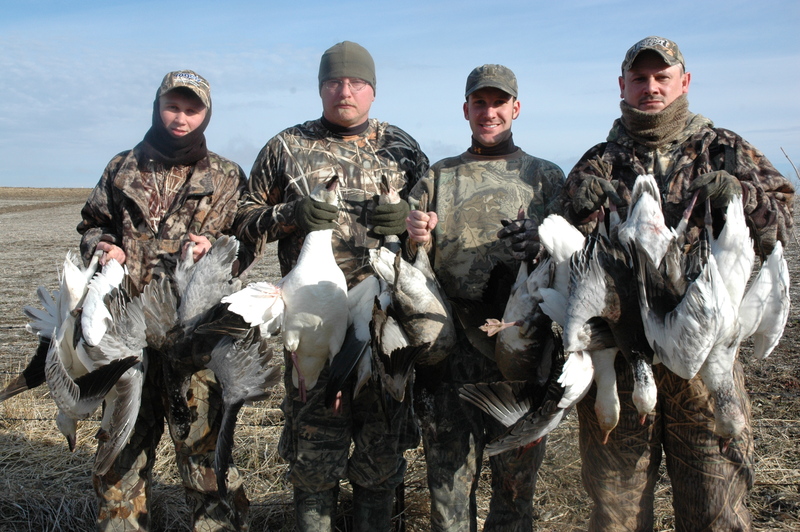 We have 10 years of Spring Snow Goose hunting experience and we live here. We know where the geese are and we will do our absolute best to put you on them. 3. 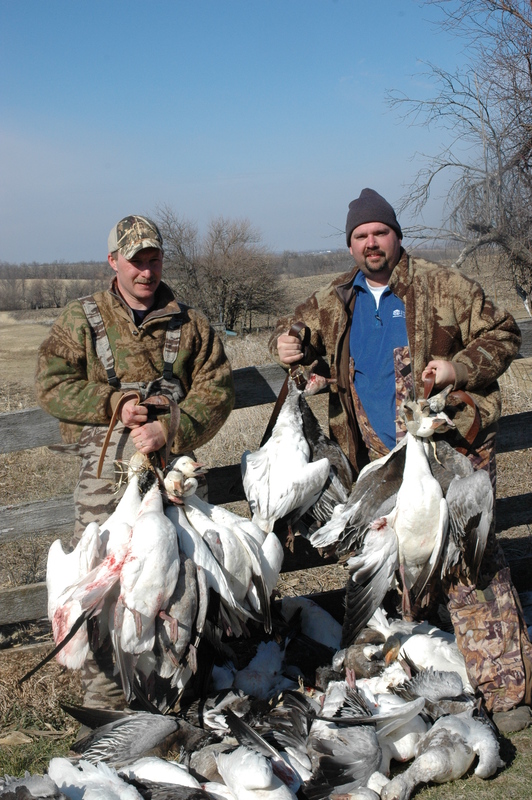 We hunt all day and are in the most predominant flyway in the United States. 4. 1000’s of geese killed in the past 10 year. 5. We want you to have the best hunting experience as possible. Your success is our business! 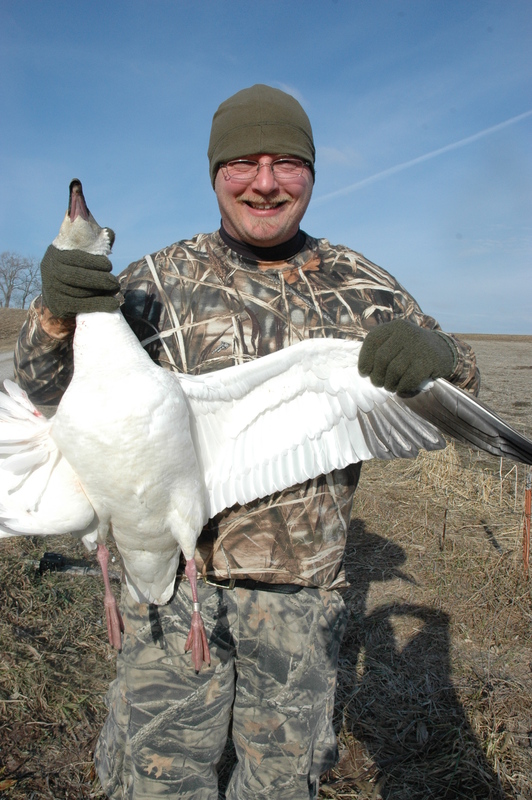 The Missouri Conservation Action Season opens February 1, 2013 We have some openings for the beginning of the season.